Gear box driven auger (no chain). Reversible / replaceable scraper bar in Hardox 400 steel. 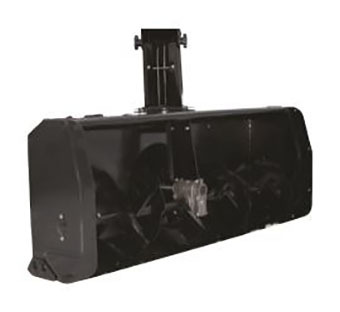 Snow blower uses the loader valve to lift and rotate the chute.